But, the authors discovered errors in the data that resulted in “significant changes” to some of the findings. She brought it to our attention and we immediately took steps to reprocess and recheck the data. … Unfortunately our routine data checks did not identify the inconsistent application. …that temperament profiles may be one promising way to group children with ADHD (or other disorders) and that temperament-based groups show distinct patterns of central and peripheral nervous system response and predict clinical course. We did not have a reason to believe that this was more than an honest error. We believe publication of this corrected (replaced) article was the appropriate response given that the study itself is not invalid and the authors have been forthcoming and accountable. The reanalysis of corrected data yielded changes in statistical significance of results reported for some PEP (physiological, sympathetic system) findings, requiring corrected parameter values but without altering primary interpretations of the data. Changes in patterns of statistical significance were also identified in respiratory sinus arrhythmia (physiological, parasympathetic) results, and those did alter the interpretation of those findings. … The main conclusions that temperament profiles in children with ADHD are associated with meaningful differences in both central and peripheral nervous system, and longitudinal course remain unchanged but with additional qualification to the peripheral nervous system findings. The paper has been cited 74 times, and was deemed highly cited by Clarivate Analytics’ Web of Science, meaning it was ranked in the top 1 percent of all papers in its field for the year it was published. Just because researchers can document correlations between physiological measures and behavior does not mean that the behavior is caused by genetics or immutable neurological abnormalities. … The behaviors associated with ADHD occur in everyone and fluctuate tremendously. 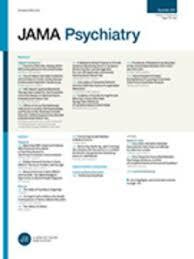 As one example, this work is part of a larger effort in the field to clarify the role of emotion in ADHD and whether emotionality should be formally considered during diagnostic assessment. Journals are increasingly using retract and replace to correct papers affected by honest but pervasive errors. However, a recent analysis identified problems with how journals and databases manage such cases, citing inconsistencies in indexing practices as a particular concern.